Website design has come a long way, from simple HTML coding back then to complex CSS and JAVA script inclusions now. Beautification of a website has been one of the most important aspect of web designers ever since the invention of CSS and with the inclusion of java scripts, functions that were out of reach before became a reality. 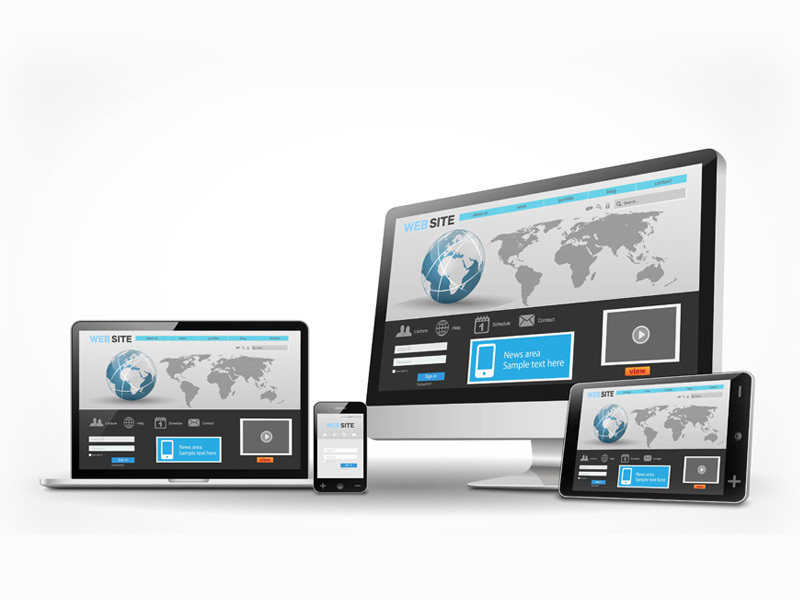 Website design is rapidly evolving into something that is complex but readily accessible. There are actually a lot of online services that offer drag and drop programs that you can use in order to create a good looking albeit simple website. Some offer a simple interface to create a website by offering a CMS (Content Management System) that is suitable for beginners and advance coders alike. Truth be told, even with the rapid technology turn over and the varying taste of users, web designers thrive to present the information in a way that is both simple yet beautiful at the same time, always going for that sweet spot between functionality and marketability. Web design will always be one of those technology that will keep its developers on their toes due to that fact that, the technology behind it is rapidly evolving and innovating in order to implement new technology or to cater to new design preference by the users. There is no silver bullet in web design preferences because preference is relative to the person who views the website and every person has its own preference to what is beautiful and what is not. With years of experience comes the knowledge of what works with a certain industry and what’s not. We have been designing website for over five years now and we have successfully created websites for salons, pet groomers, restaurants, lawyers and clinics. After doing SEO for many years, web design was our next venture since we thought that the combination of both will yield into a more positive experience for our customer by providing an all one and one stop service. Throughout the years, websites evolved from an information directory of certain topics into a marketing platform that caters to new and returning customers, all thanks to the invention of the search engine. Search engine is the biggest catalog of information in the web and a lot of business owners and startups are cashing in on them by ranking well on their chosen keywords. Whenever you want to build a website for your business, you should make sure that you are not only creating an information portal but a marketing platform as well. It’s the reality of the current landscape of the internet and it will remain that way for a long time. Before building a website, we always ask our customer this basic question “what kind of website do you want?” we know its vague but you will be surprised of how long the answers would be and how detailed they can become. The answer to this question will be 80% of our framework and will be the foundation for the website that we will be creating. We always make sure that we include all the basic functionality of your kind of website and we try our best to add additional functionalities as long as they are reasonable. You won’t believe the extent of people’s imagination when it comes to designing their website. Some business owners just want a simple website that displays all the necessary information some wanted a more complex one, totally different wants but at the end of the day all of them wanted some kind of ROI. Some are just content on spreading their brand while some wanted more tangible results. We cater to everyone, thus we are comfortable working with all kinds of business owners. All of our customers have their own businesses to run and some are so busy with their work that they don’t have time to visualize their website. If you’re one of them, we can help you choose the website that you want by sending you a list of website that is related directly to your industry thus giving you more options to choose from. We make sure not to bother you as much as possible during the development process so that you can concentrate in running your own business. We try to do our best to make the whole experience as seamless and worry free as possible. Here at Westchester NY SEO, we have our own guidelines that we always stick to in order to deliver the best results to our customers. 1. Build a website that caters to your customers – Implement the best functionalities, programs, techniques, and technology that directly caters to your customers. 2. Web design that is desirable – Easy on the eyes is what we are aiming. We have many years of web design experience to know exactly what kind of font, images, vibe and look a website should have in order to enhance the user experience of the customers. 3. Make it simple – Just like our own website, it’s simple. Simple does not mean ineffective, actually you would be surprised how a simple process could do wonders for your website. Simple yet effective. 4. Communication – We want your ideas and concepts, that’s how we roll. Although we will have a clear understanding of what kind of website our customer needs by the time they tell us what their business is, we want to make sure that we get the job right by constantly communicating with our customers. We want your input, not because we don’t know what we will be doing next but because we don’t want something wrong to happen because lack of clear direction from our customers. This is your website, thus we need your input. 5. Seamless process – We make sure to provide the best experience to you as much as possible by creating a system that is both efficient and organized. We won’t ring you in the middle of the night asking stupid questions about fonts, that’s a promise. What we will do is give you the tools needed in order for us to work on your website with minimal supervision. Web design is not easy and a person that does not have lot of info on it could get lost and confused of what is possible and what’s not. Some would even think that they could do it on their own based on the numerous testimonials of do it yourself people on the net. But the truth is a hard pill to swallow, web design is not easy and requires hundreds of hours of research to even grasp the basics of it. If you are unsure of your skills and would rather save time, give us a chance. Still not convinced? call us now so that we can discuss more about our web design service.